Writing Diverse Characters for Fiction, TV or Film is the third ‘How to…’ book by Lucy V Hay. Lucy is an editor and script reader with impressive credentials and I couldn’t wait to read this book. Before I dived in, I looked up the definition of diversity in my Collin’s English dictionary “the quality of being different or varied.” As a disabled writer I was interested to find out what groups Lucy would cover in this book, after all my ‘normal’ is someone else’s ‘different.’ If I were a character in a book I guess I’d be classed as diverse and that initially made me a little uncomfortable but Lucy begins by saying we need diverse stories to actively change society and break down barriers and I couldn’t agree more. I don’t believe a writer has to necessarily have experienced what they are writing about but creating a diverse character takes time and research. Lucy points out that the characters ‘difference’ does not have to drive the story and shouldn’t be used in a stereotypical way, i.e. a disabled person, depressed, alone and unable to cope. In other words although the character’s difference should have some relevance to the story and the way they live (everything featured in a book should earn its place and have a purpose) characters still need to be fresh and authentic. Recently, social media has really shone a spotlight on diversity. Readers and movie watchers feeding back to the creators what they like and don’t like regarding plot and characters. With the current popularity of psychological thrillers, particularly female ‘unreliable narrators’ mental health issues are featuring more and more. This bucks the trend of historically main characters being male, white, straight and able bodied. But it’s important these diverse characters emerging don’t become ‘tick box’ created as it were. So does this book help? Lucy mainly focuses on race, colour, disability and sexuality and it quickly becomes apparent she has done a LOT of research. There are references throughout to both novels and films which make her thoughts really relatable with specific examples frequently given. Lucy has also included quotes from a selection of those in the industry including agents and novelists. Helpfully Lucy also shares the common themes and characters she comes across day to day in scripts and how to think outside the box, suggesting ways to flip those ideas so they become a little less run of the mill. There are sections in the book covering protagonist goals, character growth and supporting characters and how to research, and Lucy also shares what agents, publishers, producers and filmmakers are looking for – and why. 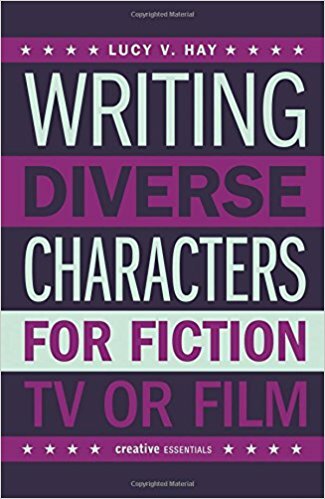 Lucy doesn’t give you a magic formula for creating diverse characters – there isn’t one – but what she offers is a well researched, thought provoking and concise book which will give you much to ponder on whether you’re a seasoned script writer or a new novelist. This is a valuable addition to my writing library and I’m sure it’s something I’ll be dipping in and out of for years to come. Lucy V. Hay is a novelist, script editor and script reader. 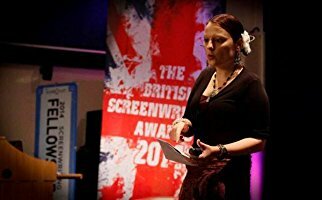 She is one of the founding organizers of the London Screenwriters’ Festival, associate producer of the 2012 film Deviation, and the author of Writing and Selling Drama Screenplays and Writing and Selling Thriller Screenplays. Lucy has read for a variety of production companies, funding initiatives and screen agencies as well as individual directors and producers with her Bang2write script consultancy. You can buy Lucy’s books on Amazon UK here and Amazon US here.